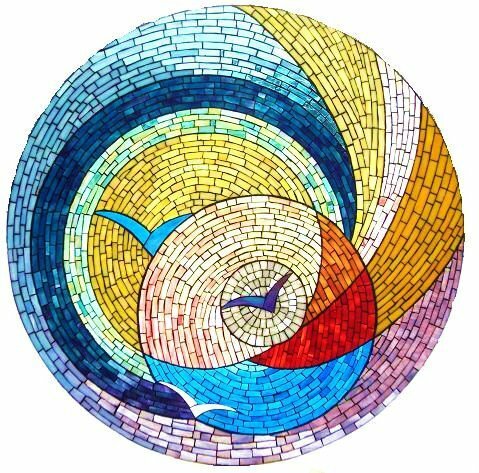 Here I feature a mosaic artist who accepts mosaic commissions to create your own personal mosaic art. You have a specific design in mind? 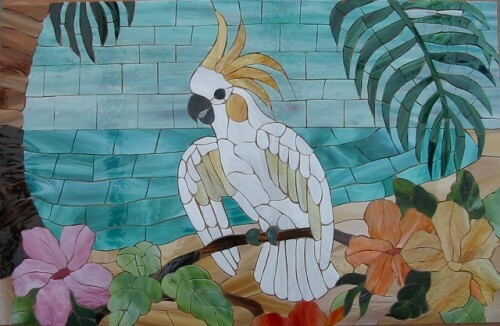 Cera Sue Mosaics can prepare and elaborate your own unique model that will suit you and complement your decor. 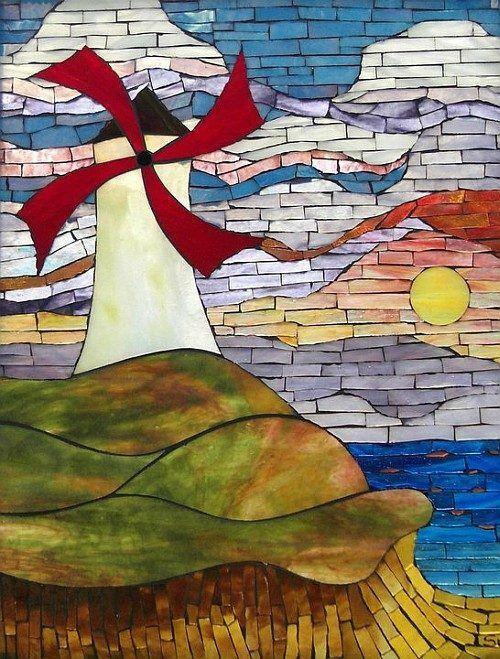 Suzanne Tremblay from Cera Sue Mosaics, designs and creates glass mosaics and stained glass art. All designs are original and exclusive. 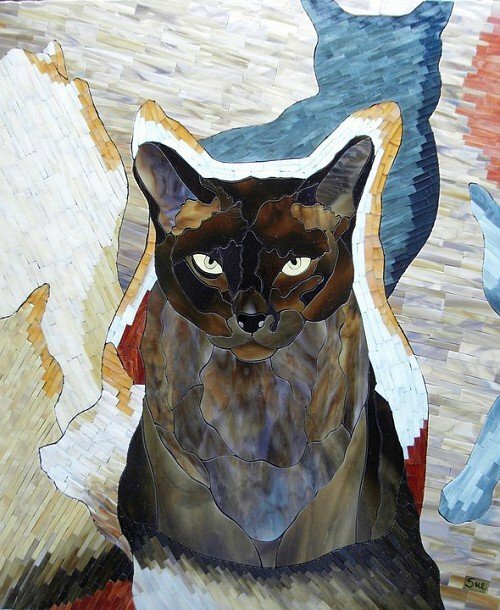 Sue has been creating mosaics for over 11 years and has already completed over 600 mosaics. 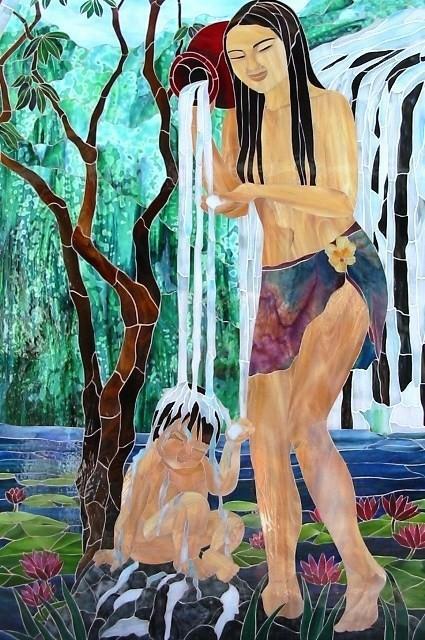 Click thumbnail image to see sample of her work up-close. 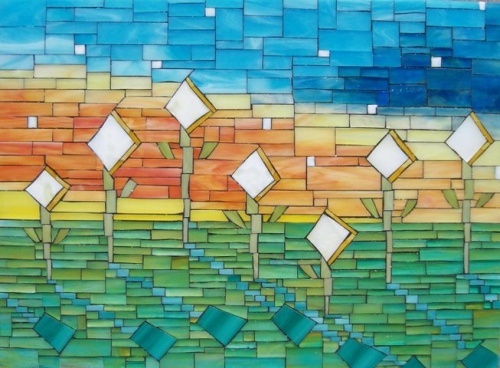 The mosaics handmade by Suzanne are glued to a silicon backing, ensuring that each of the hand-cut stained glass pieces remain firmly in place during shipment. 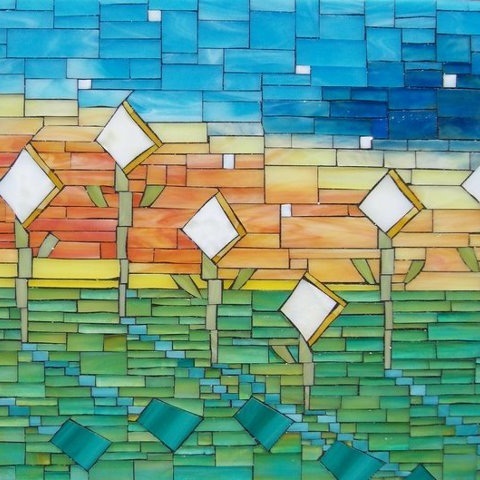 Suzannes mosaics are made of a high quality stained glass resistant to all weather conditions, therefore can be installed anywhere you want, inside or outside. 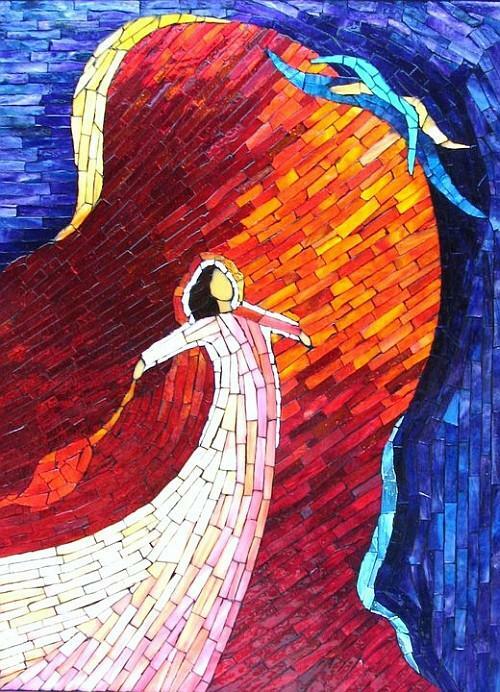 Installation of the mosaic is similar to installing regular ceramic tiles. 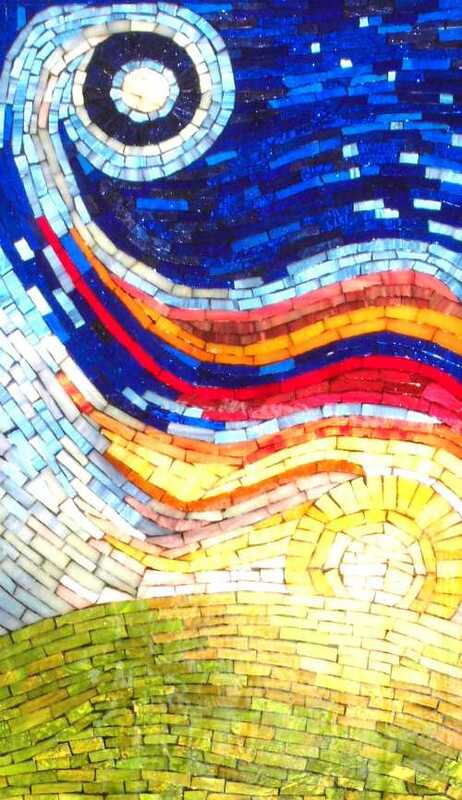 So you can either install the mosaic yourself, or if you prefer have it done by professional tiles layers. 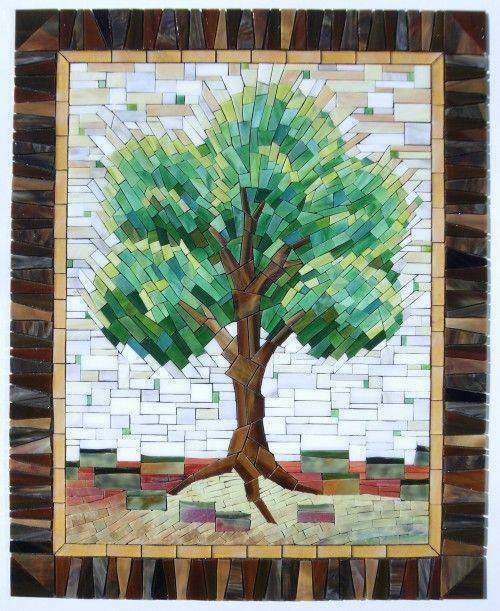 To install Suzanne's mosaics on the wall or on the ceiling, you can glue it to a wood panel and then fix the wood panel to the wall. 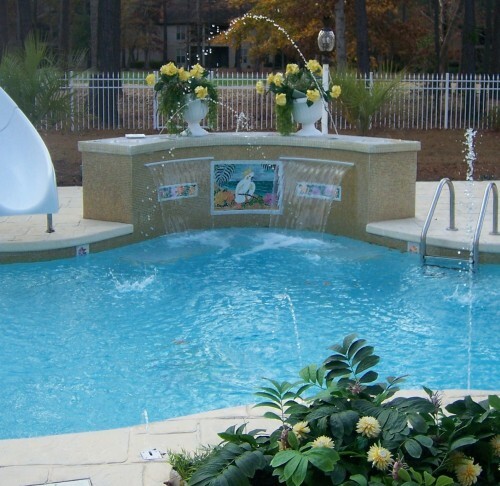 This concept is very popular and often used for swimming pools and fountains. See pictures below for an example where they can be used. 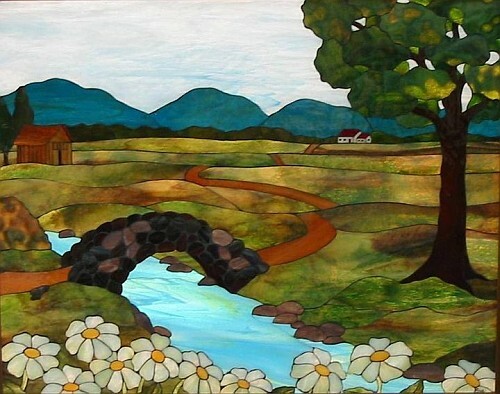 Whether it is for windows, doors, table tops, murals or for an object d'art for a gift, your unique glass mosaic commission will inspire and offer enjoyment for generations to come. You can also purchase your very own mosaic coasters made by Suzanne from her new collection called "The Little Sue". 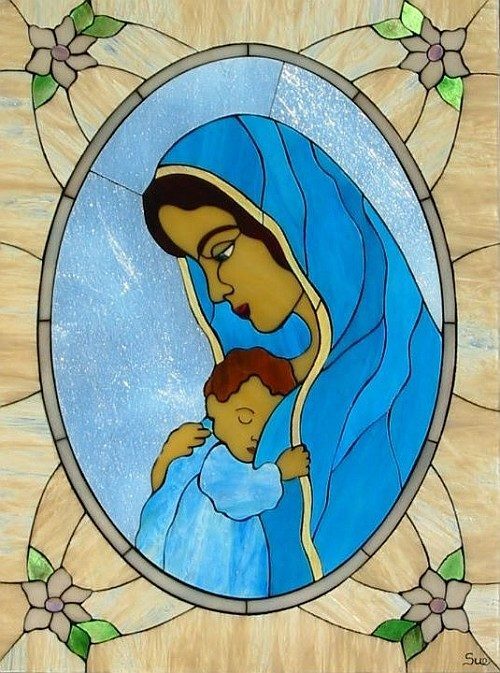 Each handmade with the same care and top quatity stained glass as her large mosaics. Beautiful, original and very durable, the perfect gift!. Sue assures a professional quality service where you will have the advantage of benefiting from her new exclusive finishing technique developed to a very high-rated standard. 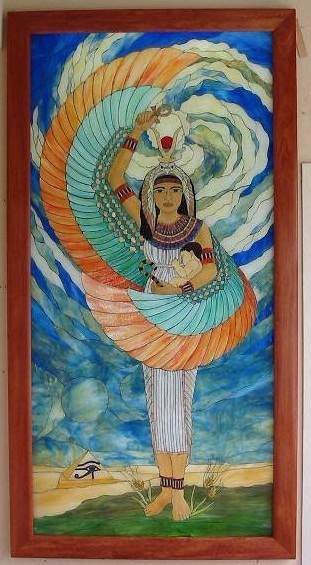 You can see more of Sue's work in her facebook page. You can also contact me and it will be my pleasure to redirect your request to Sue.